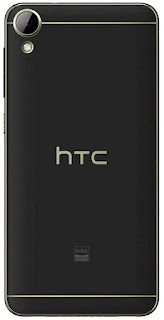 HTC a reputed Taiwan company has recently introduced a mid-range Desire 10 Lifestyle smartphone in India. The devise is sold for a price of Rs 15,990 and from visual point of view, it is awe-inspiring at first sight and it is filled with efficient features. This is an exciting purchase to experience the power and reliability of an economical smartphone. What are the features that stand out? Let us explore. HTC Desire 10 Lifestyle looks splendid, the mystery behind the great design is the soft-touch polycarbonate body enriched by shiny metal frame underneath. The handling effect is smooth and it is comfortable on the palm. The dimension of the smartphone is 156.9x76.9x7.7mm and it weights 155g. The highlight of the design is the sparkling gold metal frame on the border that enhances the matte finish. On the top there is a 3.5mm headphone jack and on the bottom there is a bass speaker and micro USB port. The combination of micro USB port and bass speaker heightens the rhythmic power of the smartphone. Visually the screen of HTC Desire 10 Lifestyle looks marvelous and covering it is an admirable 5.5-inch screen with a resolution capacity of 720x1080pixels. The display quality is impressive to indulge in top-quality music and videos with great image quality and clarity. HTC Desire 10 Lifestyle is engineered with a highly efficient Hi-Res audio and consumers can enjoy world-class audio experience. Whether it is the plug-in headphones or built-in speakers the quality of music rhythm is out of this world. HTC has introduced high-quality BoomSound Hi-Fi Edition speakers and there is also a subwoofer and separate tweeter. This separate tweeter is present on top of the smartphone and it is connected to an earpiece and the subwoofer is present on the bottom of the devise. The quality of music and bass is outstanding to an extent that you can differentiate between bass tones and high-frequency sounds. For music enthusiasts who enjoy highly impactful melodies, HTC Desire 10 Lifestyle is a spectacular smartphone to own. Camera is a strong selling feature of HTC Desire 10 Lifestyle, it has a great rear 13MP camera and this is just excellent to capture amazing images. The rear camera is built with 5MP capacity and this is great to shoot wonderful selfies. The 13MP camera has BSI sensor and f/2.2 aperture and the 5MP shooter has BSI sensor and f/2.8 aperture. For people who enjoy capturing enjoyable and memorable moments of life then there is nothing like the HTC Desire 10 Lifestyle. The 13MP main camera captures images that are incredibly bright and clear and the Full HD video is spectacular even in low light conditions and the technology behind this is the presence of BSI sensor. The 5MP camera has a series of impressive features such as Live Makeup, Voice Selfie, Auto Selfie and so on. 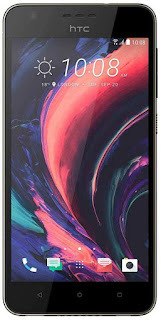 HTC has engineered this smartphone with outstanding internal storage capacity, it is sold with 3GB of RAM and 32GB storage that can extend to 2TB with the aid of microSD card. How amazing is it to own a phone that offers incredible amount of storage space, users can store endless amount of data such as games, movies, videos, photos and so much more. So if you want to preserve endless images, music and videos, then the HTC Desire 10 Lifestyle is just outstanding. HTC Desire 10 Lifestyle is engineered with an advanced Android 6.0 Marshmallow operating system. It has a phenomenal user interface where consumers can actually customize their smartphone. Consumers can create their own layout where one can drag stickers, widgets and icon any and everywhere on the phone. What is even more intriguing being you can arrange your objects in groups or even one on top of another, and you can also attach link stickers to apps and even remove onscreen icons. Users can take full advantage of designing their own screen and enjoy being admirably creative. HTC Desire 10 Lifestyle functions on a world-class 1.6GHz quad-core Snapdragon 400 SoC processor supported by an effective Adreno 305 graphics. This is a great phone to enjoy class-rending gaming and graphic performance. 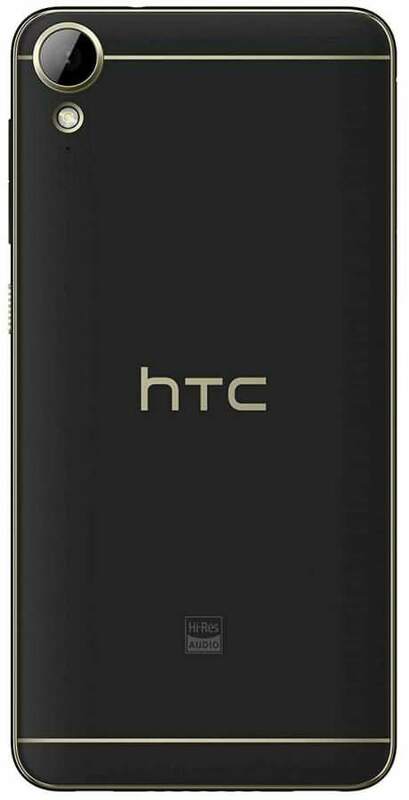 HTC Desire 10 Lifestyle functions on an efficient 2700mAh lithium ion battery that is non-removable. The charge is known to give 50 hours of audio playback which is just spectacular, and this devise is backed up with series of connectivity options such as GLONASS, GPS, Bluetooth, Wi-Fi and dual SIM. For Indian markets consumers can buy the stunning looking smartphone covered in these grand colors Polar White and Stone Black. HTC Desire 10 Lifestyle is among the best mid-budget smartphones to own, it has a remarkable and signature design and is well-suited for individuals who enjoy owning a great looking and one of a kind smartphone. This smartphone is unbeatable in the music quality department, for people who enjoy any kind of music, the HTC Desire 10 Lifestyle will offer you the best ever experience you can ask for. The internal storage capacity of this smartphone is amazing and consumers can preserve images, music, videos and so on and even create their own screen design. Users can perform a lot of interesting activities on HTC Desire 10 Lifestyle, there is no better feeling than being able to design your own smartphone. The most interesting aspect about this smartphone is it has so much to offer for an economical price. So for people who are keen on buying this devise, just go ahead and buy it, this is fantastic value for money. The strong contenders of HTC Desire 10 Lifestyle are Samsung Galaxy S7 Edge and Moto Z Play.